HARLEY-DAVIDSON’S 2014 touring platform model range introduces the all-new liquid-cooled V-twin engine. This isn’t a V-Rod powered range but a new 103 cubic inch ‘Twin-Cooled’ engine. I tested the new machine in Malaysia, an almost perfect place to test how well the engine, and the bike, really performs in hot conditions. But this isn’t the only update to the touring platform models, which Harley-Davidson has called Project Rushmore. 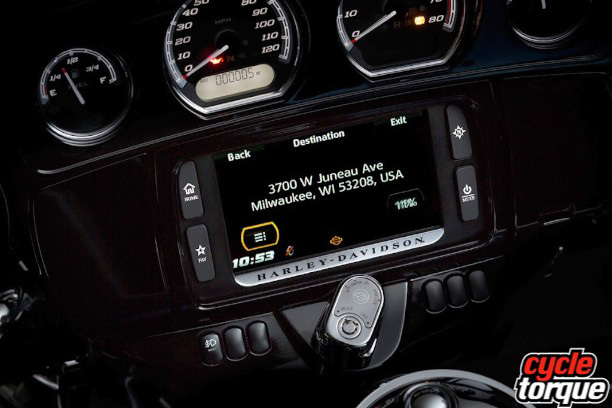 There is something like 100 or so major updates, most of which came about from canvassing H-D customers to get feedback on what they would like to see changed. I can tell you this is the best big twin Harley-Davidson I have ever ridden. The way it performs and handles, and believe it or not, stops, is almost unbelievable for a bike this size. 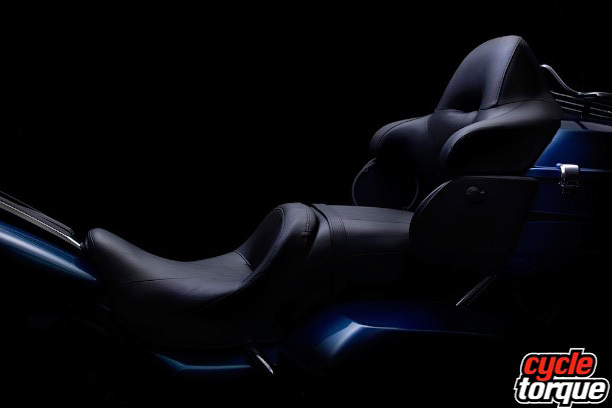 The Australian market gets both the liquid-cooled and standard air/oil-cooled 103 cubic inchers (1690cc). 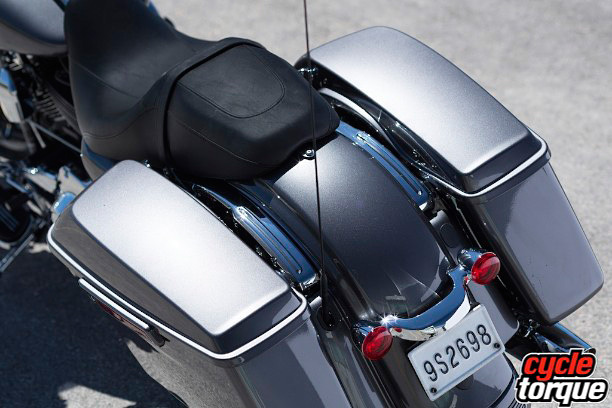 If you opt for the Street Glide, like I would, or the Road King, you will get the standard air/oil-cooled mill, whereas the flash Electra Glide Ultra Classic or Ultra Limited gets the Twin-Cooled engine, with the cooling set up hidden in the leg shields. There will also be CVO models available with 110 cubic inch engines. There’s around a 5-7 per cent increase in power over the previous engine, and this comes from higher lift camshafts and a freer flowing airbox. Torque is up too, with a 5 per cent increase over the previous 100 lb-ft. The same six-speed gearbox is retained, as well as the belt drive system to the rear wheel. 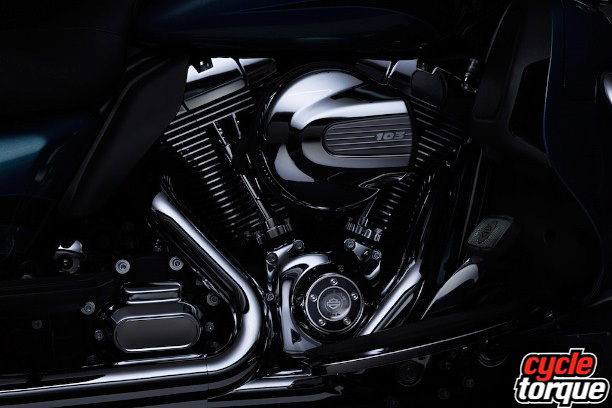 It seems a little odd Harley-Davidson has opted to cool the engine specifically for a basic model, but this is obviously because it would be a bit of a styling nightmare on the Street Glide, as there’s nowhere to hide the components. The system works by partially liquid-cooling the engine, specifically around the exhaust valves/ports. Extra finning is added to the heads too, but the liquid is routed through two radiators (one in each leg shield), with a thermostat and water pump at the base of the front downtube. Aesthetically it looks fine because the leg shields hide them. I think buyers will opt for the particular model they like, and either get or not get the Twin-Cooled engine, rather than choose the Twin-Cooled engine first and foremost. Out of the other 100 or so updates there are a few modifications which make a very big difference over the 2013 model. Massive 49mm forks now grace the front, and while they are still conventional in design they were aimed at reducing front end flex. 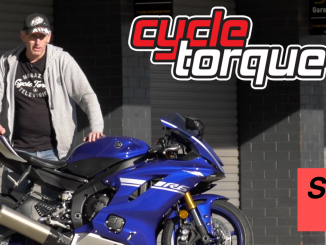 Aussie delivered bikes get the premium rear shocks too, so in all both ends of the suspension spectrum have received major updates, and it shows. Perhaps the biggest positive change of the whole lot is the new Reflex Linked Braking system with ABS. 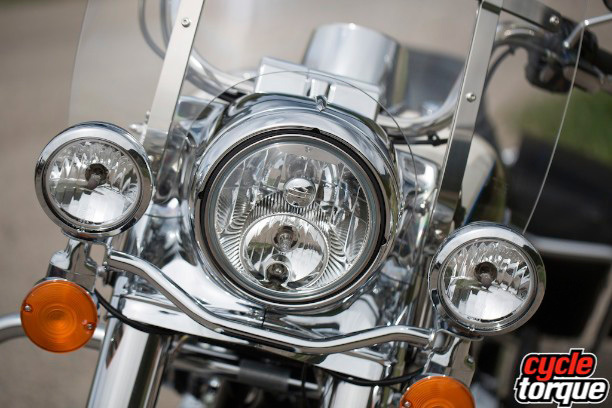 Harley-Davidson front brakes have never really been known for their effectiveness, but got away with it to a degree because of the inherent design of the machines, allowing the back brake to do much of the work of stopping the bike. The new linked system engages over 40 km/h, with regular independent braking below that speed. 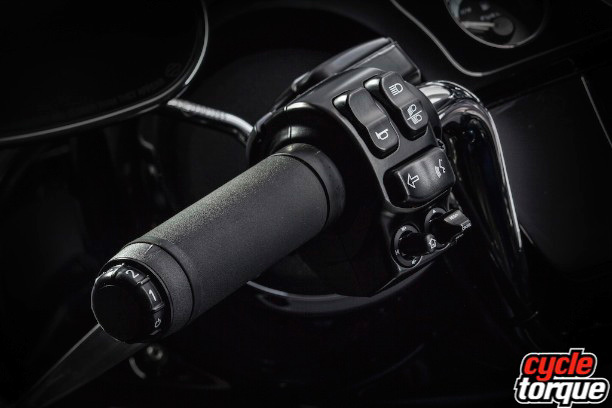 Trying to do a U-turn on a big H-D is not for the faint-hearted, and best done by upping the revs slightly off idle and using the back brake to regulate speed and help tu rn the bike, and this system still allows you to do that. 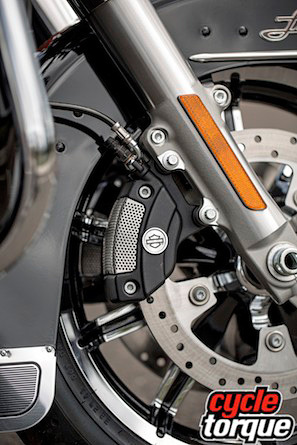 H-D says the braking system is Dynamically Linked, in other words the bike’s ECU decides where to apply the most pressure to the brake calipers, guided by how you are using the brakes yourself. In an emergency situation you might stomp on the rear brake, and if you do the ECU regulates your mistake and gets brake fluid pumping to the front brakes, hopefully saving you from a dire situation in the process. 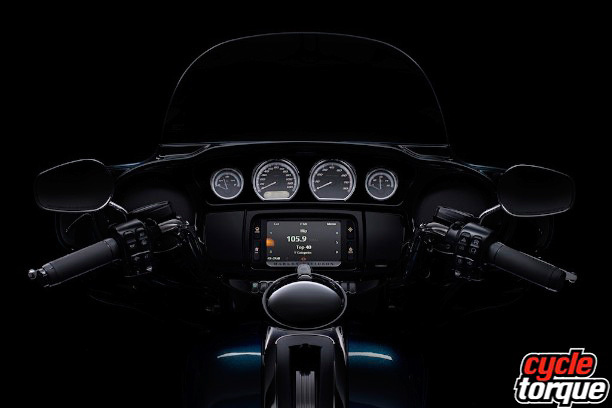 There are a few styling changes too, one being the handlebar mounted Batwing fairing which houses instruments and the stereo (not the naked Road King). Just under the screen is now an air vent which can be opened or closed. Different screens are available too. Apparently one of the complaints from customers was head buffeting from the previous fairing. The new one works, buffeting is absolutely minimal. It’s unusual to test a bike like the Harley-Davidson in Asia, but as I found out the brand has a huge following there, and our launch was tacked onto the 110th Anniversary celebrations held in Kuala Lumpur. Our test route was out in the countryside somewhat, and was quite varied in the road conditions. The very first thing I really noticed, apart from how good the Street Glide looks, was while negotiating a tight slow 90 degree bend. 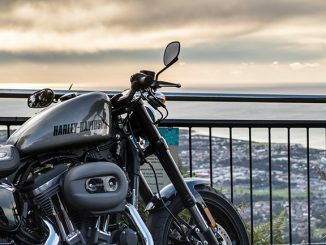 I expected the big H-D to grind its footboards into the tarmac but it didn’t. I was impressed with that I can tell you. Let’s face it, ground clearance has never been a strong point of Harley-Davidson motorcycles but it is on the new Project Rushmore range. Out into the towns and freeways I was happy with the lack of buffeting. The fairing has been changed slightly and it works great. I don’t often wear an open faced helmet but I did on this launch and there was almost no buffeting whatsoever. All that time in the wind tunnel obviously worked. As an aside, H-D has also released a leather jacket called The Triple Vent, which has been wind tunnel tested to suit the new machines. It has vents front and rear for cooling, so you might want to check that out if you are H-D shopping. I found the riding position on the Street Glide suited me to a tee, with just the right amount of handlebar pull back to suit the footboards and the seat. At one stage the group found itself on a winding country road in quite good condition. I was simply amazed at how fast I could punt this big touring bike along. Power is not sensational when compared to other big bore touring machines but it’s more than enough. To expect lots more power is missing the point I think. There were a few times when I was thinking that this sort of pace was not what this bike is about but it just tipped in very neutral, not once scraping the undercarriage, and braking deep and hard into a corner if I so desired. That’s why I said it’s the best handling big Harley-Davidson I have ever ridden. Ride one and you’ll see what I mean. I was almost blown away by how good the bike felt in those conditions. Yes, you expect it to be good on the freeway or country roads, but you don’t expect it to be that good in the corners. I found the rear shock to be a bit firm on the Street Glide, and when riding the Electra Glide found its rear shock a bit softer, as was the seat. I later found out both bikes share the same rear shocks, and the Street Glide’s pre-load was set stiffer via the hand adjuster, which is easy to get to. Experienced riders often like to bag ABS systems on bikes but this is one of the best I’ve sampled. It’s not intrusive and when I tested it out in an induced emergency braking test it pushed both tyres firmly into the tarmac, stopping in an unexpectedly – to me anyway – short distance. Later I rode the Electra Glide and while it’s essentially the same platform, the rider gets handlebars which pull back more, a plusher seat, a top box, way better pillion perch and a better stereo. As for the stereo, lots of manufacturers tell you their stereo stays crisp at high speeds but in reality it’s unusual. I thought the stereo on the Street Glide was good, but then I tried the Ultra’s stereo. It’s not perfect but I don’t think I’ve ever heard a better one. 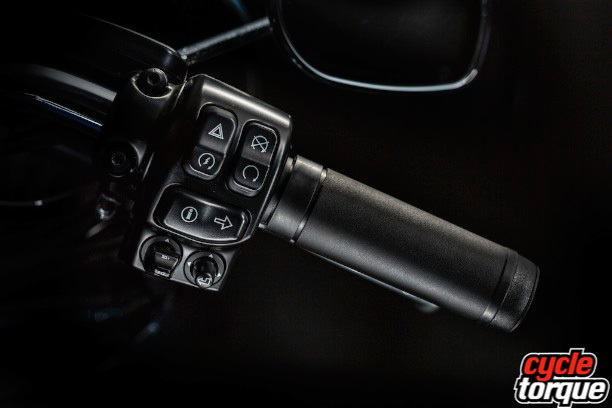 The Electra Glide and Ultra Limited gets a touch screen system which allows you to plug in the iPod, iPhone or whatever, and answer your phone etc. I’m not a huge fan of a stereo on bikes but these work. You can toggle through songs via the left switch block, and the cruise control is on the left switch block too. A sat nav system is fitted standard, and you can even use your mobile phone via voice activation. Remember H-D canvassing their owners? Well, obviously people thought having cruise control activation on the right switchblock under the throttle was dumb. 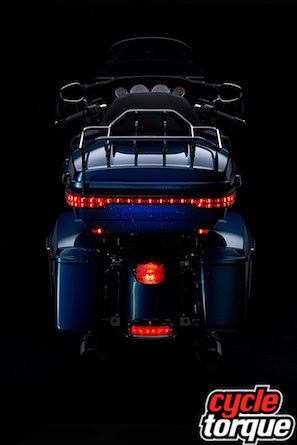 Funny that, and H-D’s designers have now seen the left hand light. For those interested in how far they can travel on a tank, well we could have done 300 kilometres no problems on the allotted 22.7 litres of fuel. Comparing the non liquid-cooled 103 cuber and the Twin Cooled engine I found the power difference pretty much unnoticeable, but it did seem cleaner off idle after you had been sitting at a set of lights for a while. I think this will only be noticeable on hot days. There was also a dip in the power once you were underway from a standing start, and giving it the berries, on both engines, but a nice set of Screaming Eagle mufflers should take care of this. As I said before, I found the level of power fine for this type of bike. Overall I came away very impressed by both the bikes I rode, the Street Glide and Electra Glide Ultra Classic. I particularly like the riding position and styling of the Street Glide but that’s just me. I also rode the Road King for a short distance, and it’s a different experience again. Really there’s a Project Rushmore model to suit most tastes. Buy one of these and you will not be disappointed. 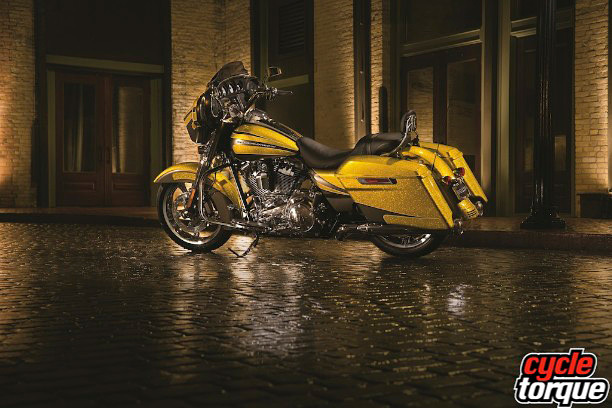 Pricing is as follows: Street Glide – $33,995; Electra Glide Ultra Classic – $37,250; Ultra Limited – $38,250; Road King – $32,495. Hope you enjoy the first episode of our new series. Remember, supporters can watch the show as soon as it’s ready, days before it goes onto TV.